Bulk SMS is the cheapest means of making effective communication in Nigeria. So we welcome you to bulksmsbase.com, the Cheapest Bulk SMS in Nigeria. We provide SMS services to Nigerians: Companies, Governments, Churches, Mosques, Individuals and Politicians that needs bulk messaging for wedding invitations, product launch, political awareness, etc. We have one of the fastest delivery and we encourage you to be part of the winning team. Our service is second to known and our reliable Bulk SMS in Nigeria delivers instantly. Our simple online system is used by various types of businesses from multi-national corporations to sole traders and others as a result of fast delivery of our service. With thousands of happy customers who have reaped the benefit of our fast delivery service; we strongly believe you will join us now as you are reading by creating your own account for free right away. In Cheapest Bulk SMS, rendering good and quality service in time of delivery is what many customers are looking for and this is what we stand for. We are working round the clock all day to make our customers happy. We value our customers and we always strive to give them the best because our customers are great people. As we strive to make our customers happy, we also try to make our Bulk SMS Site user-friendly. Won't you rather join us today where your interest and your questions will be adequately attended to? Bulk SMS Nigeria can be used to promote new products or services, invite people to seminars, training, and announcement. Politicians can use it to reach out to their supporters. Churches/mosques can use it to give relevant and urgent information to their congregations and members. Companies can take advantage of our Bulk SMS in Lagos where we have a high concentration of companies to use SMS marketing to introduce their products/services to their teeming customers. Our bulk SMS price is one of the cheapest considering the high and fast delivery of our bulk SMS. And our GSM database is also the cheapest GSM Database in Nigeria. Buying bulk SMS units and GSM database are simple. Go to how to pay page and see our bank details as well as how to pay for SMS unit. 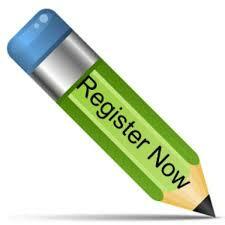 Registering process at bulksmsbase.com is very simple, fast and free. Just click on Register, provide your Name, Username, Your Password and your VALID Email address to confirm your registration and you are done. You can log in, provide your phone number and DOB and you can buy SMS units online after you might have logged in or pay to our bank account and start sending your messages. For those who are interested in Bulk SMS, Reselling Business can take advantage of our excellent services by connecting to us through our API Configuration at no cost. If you have any question to ask us, suggestions or advice about our Bulk SMS or GSM Database, please feel free to Contact Us or call us on our Helpline: 08098600344, 08125772070. We are committed to serving you better with quality service. WHY ARE MY MESSAGES NOT DELIVERING TO SOME MTN NUMBERS? Promotions, Promo, Promotion, Million, Lottery, Pounds, Dollars, Euros, Euro, Money, Won, You have won, You won, Win now, Winning number, Win, Winner, Winning, Survey, Surveys, Scratch and win, Million dollars, your mobile has been selected, Your number has been selected, you have won, congrats, congratulation(s). 2. Messages will not deliver to numbers with Do Not Disturb (DND). MTN is mostly affected. ETISALAT users send a START to 2442 to opt out. Remove your SIM card after sending the code and insert it back. You may wait for 24 hours.